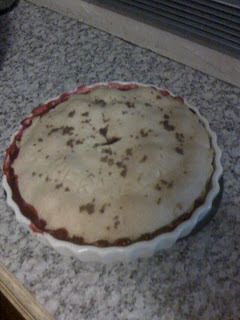 Here are some photographs of an attempt at home-made pie baking. 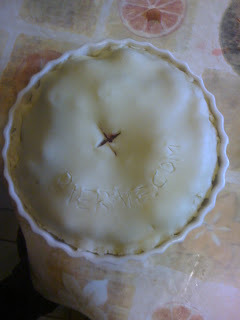 Please note that our web address is www.pierate.co.uk and NOT the web address INCORRECTLY written on the pie. This is a regretful typographical error, and www.pierate.co.uk has no affiliation with nor holds any responsibility for the content on this external link. Again, please note that our web address is www.pierate.co.uk and NOT the web address INCORRECTLY written on the pie. 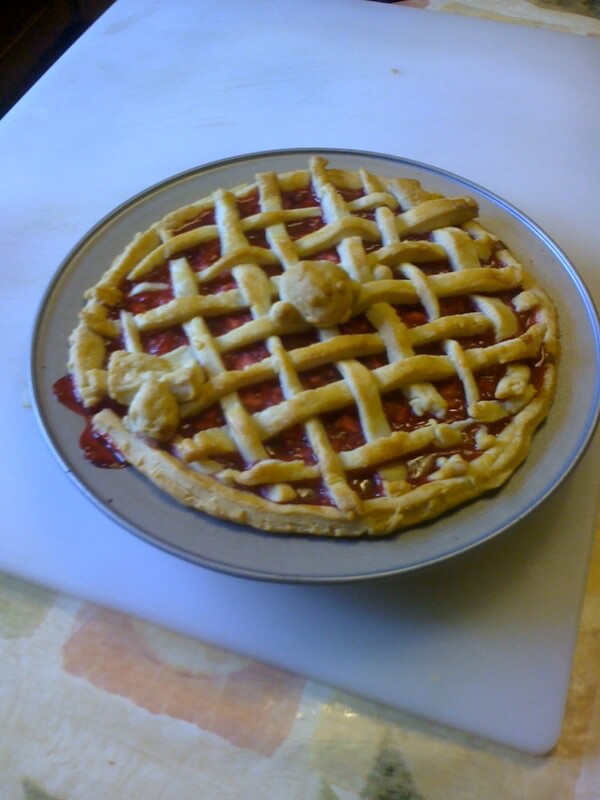 I certainly found home-baking pies to be an enjoyable experience, and had great fun concocting the filling and laying the lattice. Unfortunately the recipe for the filling was rather made-up and has been misplaced, but perhaps sometime in the future you may see some great pie filling recipes up here! Don't be afraid to have your own go at pie-baking!! !